Metal Pro Primer is a premium plus, low VOC, fast drying, waterborne, acrylic coating for interior or exterior use. This product offers excellent adhesion to metal surfaces particularly galvanized metal; hence protecting the metal surface from oxidation. This product can be top coated with a variety of products, but for the best protection of metal surfaces top coat Metal Pro with Protec Alkyd Emulsion Enamels (9700 Satin, 9800 Semi-Gloss or 9900 Gloss). 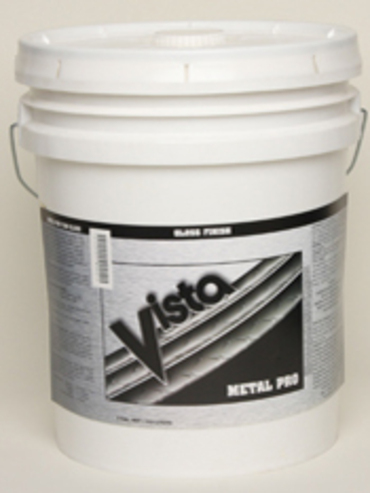 Recommended Uses: Recommended for non-ferrous metal (not containing iron) and galvanized metals. For best corrosion resistance on ferrous metals use 9600 Protec Metal Prime. Colors: White (4800), Black (4805), Red Oxide (4810) and custom colors.